The idea for Secret Rutland may be said to have developed from two basic concepts. 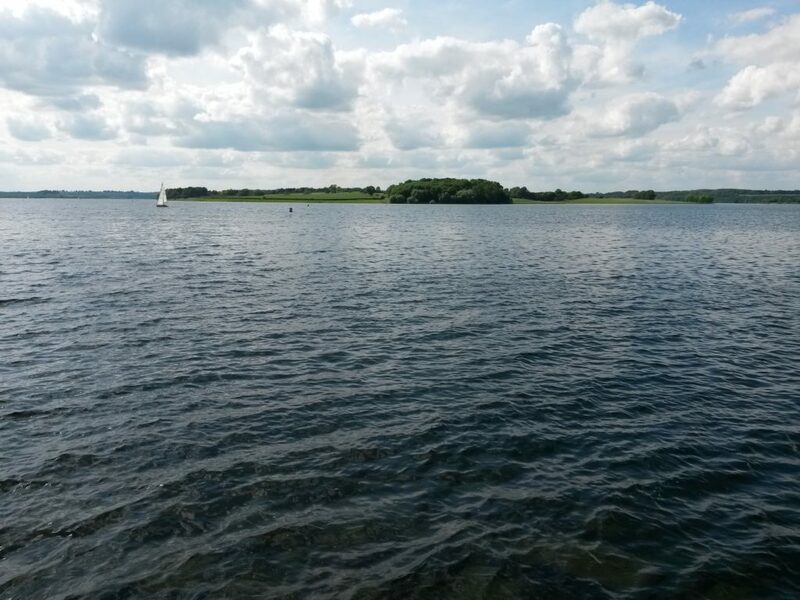 From a personal perspective, I have always been fascinated by Rutland Water as a feat of human engineering, although I accept that had I been born a generation or so earlier I might have had quite a different opinion on its at-the-time controversial development. Nonetheless, I was intrigued by a particular story that I heard on a number of occasions while walking the water’s edge: that, when the conditions were right, the bells of a church could be heard tolling beneath the waterline. This was because while developing Rutland Water ‘they had to flood some villages’. Only the latter part of this anecdote is partially true, but I was intrigued by the way that an old folkloric theme – that of the bells of submerged churches still tolling underwater – had become reinvented to fit a modern damming project like Rutland Water. The second concept concerned an observation that Rutland as a county warranted books about itself only infrequently. In fact, Rutland in literature seemed to suffer from a predisposition to be included within books on Leicestershire, almost as an afterthought. This seemed a little unfair, although somewhat understandable because between the 1970s and 1990s it was amalgamated into that neighbouring county. Although a small part of England, Rutland appeared so deserving of a book of its own that the idea for Secret Rutland was proposed. The outcome was by no means guaranteed – after all, there are UK towns with larger populations than the whole of Rutland put together! But with so much untapped history and local lore, the opportunity to devote a work wholly to Rutland proved to be viable one. County folk proved very forthcoming with snippets of data for the work. One of the great joys of preparing the book was that it provided the opportunity to explore every corner and aspect of England’s smallest county. I had already made a resolution that I would visit every single parish church, large or small, since these are traditionally where a phenomenal amount of local knowledge can be gathered. But particularly enjoyable were the necessary excursions into Rutland’s beautiful open countryside. I was continually amazed how, even in Rutland, one could still find that they were out in the ‘middle of nowhere’. As an example, one exploratory walk the reader may find extremely rewarding proved to be the one from Manton to Martinsthorpe. 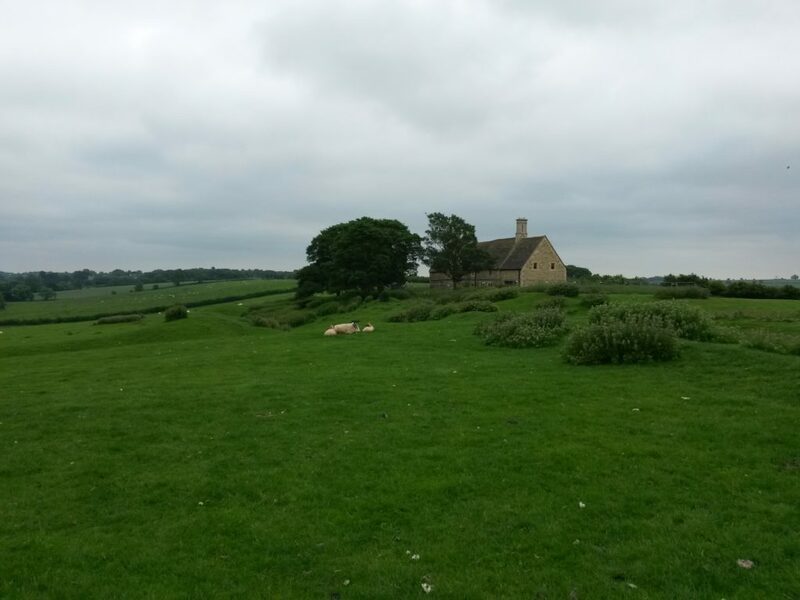 Martinsthorpe is a deserted village so loftily positioned that it provides commanding views of the surrounding countryside, with church spires distantly visible in each direction, and Rutland Water shining like a giant mirror away to the east. Medieval earthworks surround the one remaining house at the spot, the post-medieval Old Hall farm. This is currently deserted, and the explorer will find no company out here apart from the sheep – and possibly the ghost of a civil-war era messenger said to haunt this windswept site. The point is that I found this spot to be classic Rutland – reminiscent of a beautifully tranquil, slightly removed time capsule that might be a metaphor for the county as a whole. This was just one of many rewarding and inspirational jaunts into the heart of Rutland. Of course, as is always the case, not everything made it into the final work. Many are the poignant memorials to the sons of Rutland lost in the Great War, particularly inside Uppingham’s school and church. In the end just a small handful of these were observed in the finished publication to reflect the county’s sacrifice. But other sombre memorials can today be found within and without all of Rutland’s churches (except Teigh), including for instance the poppy-decorated cross at Market Overton dedicated to Lieutenant Vincent Wing, killed in 1917. The roses in the churchyard here were planted in his honour. Even if it were not the 100th anniversary of the end of the Great War, these would still be sites worth seeking out, as are the modern stained glass windows at Edith Weston and South Luffenham reflecting Second World War activity in the county. Another story omitted from the finished book concerned the deeds of the Parliamentarian soldier and independent thinker Robert Overton, who died while under house arrest at Seaton in 1678. A brass plaque to his memory can be found at Seaton’s church. 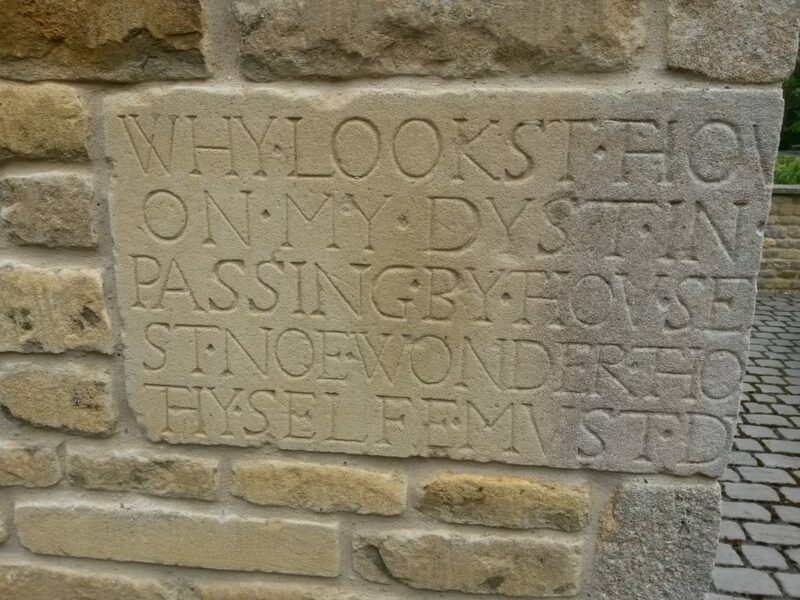 And elsewhere in the county, near to the village pond at Barrowden, one cottage has an older stone block incorporated into its wall, which bears a cryptic inscription. This appears to be for the attention of anyone gazing upon coffins being taken into the church, for it tells them that they will themselves inevitably die! These places of interest are reminders that Rutland has yet other secrets not included in Secret Rutland! They are also reminders that every parish in Rutland has its own story to tell, naturally, and Secret Rutland could have evolved into an explanation of each village’s development, focusing on halls that no longer stand, the sites of village ponds and wells that have been filled in, who owned the local blacksmith in 1927, where the sheep-washes could be located, and so on. This would undoubtedly also have been an interesting project, although such a then-and-now approach to Rutland had already been touched upon in Amberley’s Through Time series. Nonetheless, to a certain extent, snippets of parish development have been mentioned incidentally throughout the finished publication. Also included in Secret Rutland are many ‘secret’ stories from Rutland’s past that have until now been hidden in the archives, as well as a smattering of local colour in the form of folk-lore. But the main objective of the book is hopefully to highlight to the reader, be they Raddle-folk or tourists, the hidden items of interest that may yet be sought out and observed … that is to say, the evidences of Rutland’s fascinating story which are still there to be seen, even if they take some finding! 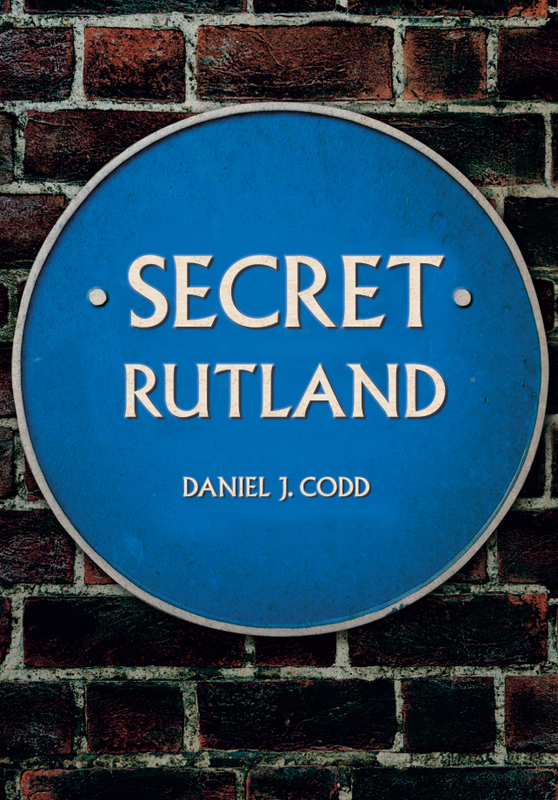 Daniel J. Codd's new book Secret Rutland is available for purchase now. This entry was posted in Blog and tagged Rutland, Daniel J. Codd, Secret Rutland, Leicestershire, Secret series, Local History, Amberley Publishing on February 27, 2019 by Amberley Publishing.